Room draw at Hanszen College ended with 17 open beds and not one student involuntarily kicked off campus. Nikhita Gangla is the chief justice at Hanszen, where her duties include running room draw. She said that she thinks the quality of Hanszen rooms are to blame for all of the openings. According to Gangla, if the rooms stay unoccupied by current students, the beds will either go to people from other colleges or to extra new students. Gangla said that neither option is ideal. Gangla said that the result of this room draw is evidence of the need for a new Hanszen building as soon as possible. Students living at Hanszen have the option of a room in either Old Section or New Section. According to Gangla, students do not want to stay in Old Section because of the communal bathrooms. “The only rooms without big problems right now are the doubles in Old Section, though no one wants to live in a double in Old Section with the communal bathroom the moment they’re beyond freshman, sophomore year,” Gangla said. Gangla said that even though New Section offers private bathrooms, these rooms have their own problems that discourage students from living there. Bharathi Selvan, a junior at Hanszen, said she lived in New Section during her first two years at Rice and that the problems with the rooms led to her moving off campus this and next year. According to Gangla, there is a double reserved for athletes, three quads and a triple all still unoccupied. On March 23, two days after Hanszen room draw concluded, Gangla sent an email notifying the college about the available rooms and asking people currently moving off campus to consider staying on to fill these beds. But Gangla said that so far this has not led to any claimed rooms. Felix Desimoni, a freshman at Hanszen, said that he and his roommates chose to move off campus because of the quality of the rooms available to them at Hanszen. 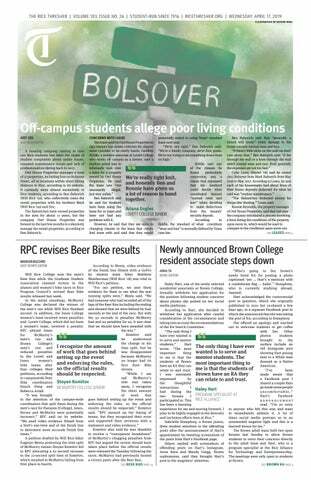 Rice Housing & Dining responded to this news by saying that they do not oversee these vacancies.